3 Things Financial Consultant, Helmi Hakim, Learnt From Google Dance Singapore 2018…..
Alhamdulillah… I was invited to Google Dance Singapore 2018 recently. It was an awesome event. I was very excited to learn from the panel of experts on how to promote Islamic Finance in Singapore using the internet. At the same time, I was eager to explore the Google HQ office at Pasir Panjang. I heard many good stuff about Google’s work culture and their creative office. I snapped too many pictures. If you would like to see how Google Singapore office looks like, click here to view them on my facebook page! In this post I want to share with you 3 Things I Learnt From Google Dance 2018…..
During the session, I learnt about lots of cool gadgets, apps, software and hardware that can drive up profits and help save business cost. I learnt how Google Bot works. I learnt about Google Search Console (if you are a web developer, this tool is relevant for you)….. This technology blew me away. I usually use the Illustrator app on my Ipad to draw and also to take notes. But now.. to be able to enter another world…. Never in my mind, I thought of entering another visual world and having FUN. Painting rainbows with virtual brushes. Expressing my creativity. Building a safe refuge. Creating a world of my own. Then I started to think about practicality. About pragmatics. Okay. This gadget is cool. But how exactly this technology can be USEFUL in our REAL world? I do understand that this technology may be helpful for developers, developing virtual 3D games. But how is exactly useful for common people like us? Basically, how can this be a practical business application? I spoke with one of the participants. 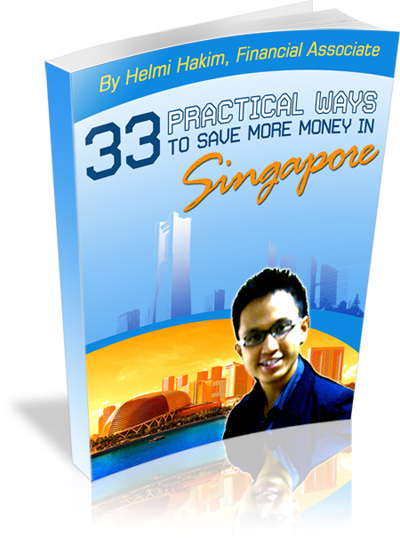 He mentioned that there is a cleaning company in Singapore that leverages on this technology. All of us know that the employment turnover rate in the cleaning industry is HIGH at 30-40%. Before the cleaners were deployed, they need to be trained. That is $$$. They need to be trained by in-house qualified trainers. That is $$$. The in-house qualified trainers also have to be trained. That is $$$. When the cleaners leave the job, another new one comes in, also need to be trained. $$$ again. Trainers also leave and when new trainers come in, they need to be trained. $$$ and more $$$ needed again! So what the cleaning company did is they created a SYSTEM leveraging on such technology. New cleaners will wear such gadgets as above, and be trained to clean in the virtual world. At the end of the session, they will have to take a test in the virtual world and PASS the minimum scores. Someone asked the panel of experts about Google Robots. He asked some technical questions that appear gibberish for me. I’m not a technical person. I know nothing of it. Serious. He asked how to befriend the robots through coding of websites. What the panel of experts shared was simple yet profound. The panel of experts told us to focus more on users’ experience. When you write a blog post (like mine), don’t write like you are communicating with a robot. Write as if you are communicating with your friend. If your friend or your target market read your blog post, and they feel OKAY. Google Bot will also feel OKAY. If your friend or your target market read your blog post, and they DON’T FEEL OKAY. Google Bot will also feel NOT OKAY. The panel of experts also mentioned about chatbots. Chatbots are basically like virtual human beings, programmed to ask and answer questions from prospects or clients. How some developers designed their chatbots is that they just take ALL the questions from survey forms and program it as automated questions to ask potential clients at the chatbots. -what is your house address? -what is your highest qualification level? You know what? It is super duper boring. The panel of experts suggested us to add human elements. Personalise our message. Make the robot as human as possible. Again. Make the robot as human as possible. To me, this is cool. Because it only means 1 thing. It only means that human beings are still needed on this earth. If you are in the service industry, this is GOOD NEWS for you. Human beings still want to deal with other human beings. Robots are just good for simple, repetitive and mundane tasks. They can help us make our jobs easy. But never, ever replace us completely. During the event, I gauged that almost 60-70% of the audiences came from overseas. Vietnam… Malaysia, Thailand… Indonesia… Japan.. I made friends with a number of them. I have a quote that I think hold relevant in today’s competitive business environment. so powerful yesterday, has become normal or baseline standards in today’s context. And my favorite solution to prevent our business from being a commodity. Is to reinvent ourselves by networking and continuously learning from people from other countries. From other fields. From other industries. They know something what we don’t. And we know something that they don’t. If I find something that works super well in other countries. I always think, if that same stuff can be apply in my business in Singapore. Boyyyyy….. Google Dance provided me the platform to network with other brilliant IT/marketing practitioners. I learnt from them lots of cool apps, gadgets that I can’t wait to implement for my business. Super awesome stuff that can help my clients achieve the financial goals that they want to achieve. Using tools that never come across my mind before. …And yes, that is why your network is super duper important. There is a saying, “Your network = Networth”. I embrace that idea completely. I hope you learn something valuable from my sharing. In my capacity as a financial consultant, I devote time, energy and a lot of resources to perfect my craft. If you are seeking a mentor, coach, consultant to share with you practical, UP TO DATE, and modern ways on how you can save, accumulate and grow your money the shariah compliant way in Singapore, let me do the heavy lifting for you. You will want to schedule it asap because I can only accommodate 5 slots for the next 3 weeks before I go for my army reservist. Very Powerful Stuff To Share With You. 1. I need advise to invest on my assets in the form of cash and properties.Thanks.